Choose from among fourteen fun themes, slide a card into the gameboard andstart looking for matches. 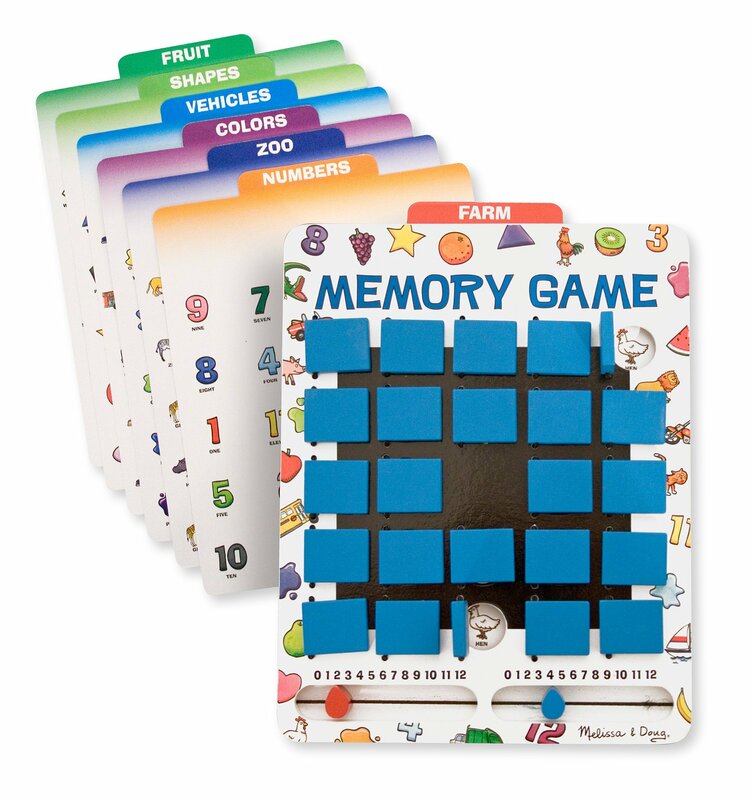 This handy memory game includes one game board,seven double-sided game cards and a two-player scoreboard. There are no loosepieces and everything conveniently stores in the board. Great for travel! From the Manufacturer Melissa & Doug toys are designed to nurture creativity and imagination. Fromclassic wooden toys to creative crafts, pretend play, and games, Melissa &Doug's products inspire exploration and enrich children's lives in a waythat's as engaging as playtime itself! Since the Company's founding more than25 years ago, Melissa & Doug has consistently delivered innovative children'sproducts with a commitment to uncompromising quality, safety, service andvalue. Well-designed, durable playthings should be accessible to all, andMelissa & Doug strives to foster wonder and a lifelong love of learning inchildren throughout the world.